From Batman’s Muslim sidekick Nightrunner, a French-Algerian parkour ace, to the recent takeover of World War Three Illustrated by artists from Egypt, Lebanon and Palestine, comic-book characters from the Middle East have started seeping into the American consciousness. Still rare enough to set the blogosphere aflutter, this type of crossover may become more commonplace after this weekend. The inaugural Middle East Film & Comic Con (MEFCC) kicks off in Dubai Friday, and American writers have flown over to autograph their comics and meet their counterparts from the region, including Dr. Naif Al-Mutawa, brains behind The 99, and Qais Sedki, creator of the United Arab Emirate’s first manga (a Japanese-style comic form). Finding a collaborator is part of the plan for New Yorker Mark Sable, whose forthcoming adaption of Shakespeare’s cycle of Henry plays, Scimitar, is set among Arab princes. He will talk on a panel about character creation, and is looking forward to meeting fans from the region, having picked up blog hits from Iraq, Syria and Saudi Arabia. 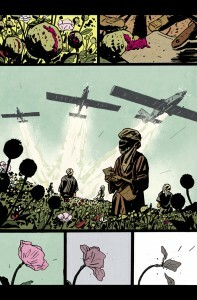 “Despite the fact the U.S. is heavily engaged in the Middle East, there have been very few comics set there,” Sable says in an email interview; his own comics include Graveyard of Empires, a zombie comic set in Afghanistan, and Unthinkable, in which Christian fundamentalists bomb Jerusalem’s Dome of the Rock. One U.S. writer who shares Sable’s interest in the region is Chicago-born Merik Tadros, who will be leading comics-writing workshops at the MEFCC. River Jordan, his semi-autobiographical graphic novel about an Arab-American boy connecting with his father’s past, will be released in Arabic translation at the MEFCC; an English version is already out. Other Americans at the event include Anthony Del Col and Conor McCreery (co-creators of Kill Shakespeare) and Mark Smylie (Artesia). They’ll be joined by actors from fantasy TV series like “Game of Thrones,” “Battlestar Galactica” and “The Walking Dead” (that last based on a comic book). As in America, the popularity of comics in the Arab world has come in waves. An Arabic-language Superman hit the Middle East in 1964, disguised as mild-mannered Nabil Fawzi, a reporter for Al-Kawkab Al Yawm. Circulation was in the hundreds of thousands. By the 2000s, only a few thousand copies of Spiderman were selling, according to Dr. Al-Mutawa, whose publishing house, Teshkeel, put out Arabic versions of Marvel and DC comics. The company decided to develop The 99, and the comic took off. Its characters would go on to populate an internationally franchised TV program, an animated film and even a theme park in Kuwait. Driving the genre’s revival in the Middle East are not publishing giants looking to make a buck (although Marvel has a stall at the Con), but independent artists and writers often printing and distributing their stories themselves. Ben Caddy, the MEFCC’s British, Star Trek-loving co-organizer, hopes that in future years, the Con will attract more talent from these communities. This year, there are dozens of locals who will be setting up shop in Artist’s Alley, but only a handful of special guests who aren’t from the U.S. or UK. Among these is Emirati Qais Sedki, whose Arabic-language manga Gold Ring tells the story of a young boy who takes part in a prestigious falconry competition. The book won a children’s literature award in 2010 and has just been translated into English; Sedki is now mentoring budding manga writers from the region. While there’s no longer a market for single-issue comics, collected volumes and manga books are available in the Gulf’s bigger bookstores. 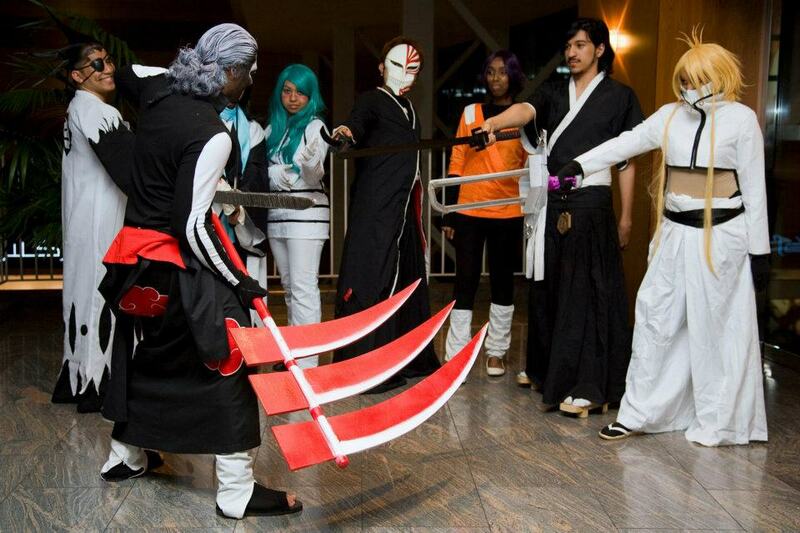 Anime, or Japanese animation, is even more ubiquitous, and there are clubs devoted to the Japanese art form in Abu Dhabi, Dubai, Bahrain, Saudi Arabia, Kuwait and Tunisia. 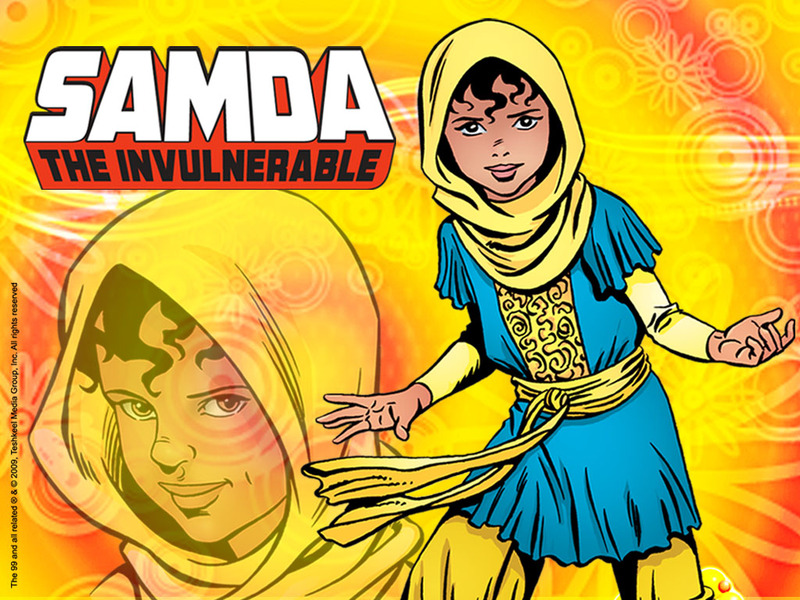 Translating comics and making them available around the world can be a powerful tool against xenophobia according to Dr. Al-Mutawa, who made sure his characters in The 99 were from a multitude of countries and embodied universal values.